Alice Zulkarnain is a research economist at the Center for Retirement Research at Boston College. She conducts research on health in retirement, eligibility for disability insurance, Social Security benefits, and long-term care use. Before joining the Center, she earned a doctorate in economics from the Graduate Center – The City University of New York in the fields of labor economics and health economics. 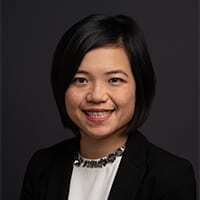 She was a demography fellow at the CUNY Institute for Demographic Research and a post-doctoral fellow in the Economics of an Aging Workforce at the National Bureau of Economic Research. She has also worked at ABN AMRO Asset Management. Alice is currently a research affiliate for the Institute for the Study of Labor.